Introducing Headlok®, a new range of security head screws from Buildex®, Australia’s leading manufacturer and supplier of self-drilling screws and fasteners. Headlok® Security Head Screws are designed for securely fastening both metal roofing and cladding profiles, on buildings where the prevention of unauthorized entry and safeguarding of property is of paramount importance. This includes warehouses and shopping centres, government and defence installations, correctional and storage facilities, community centres and water treatment facilities. 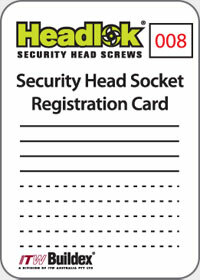 Headlok® Security Head Screws are tamper-proof because they feature a totally unique head design. They can only be installed or subsequently undone by using the Buildex® Security Head Socket. To maintain complete security, distribution of the socket is extremely limited with end-users placed on a registration database to ensure traceability of socket location. Available head painted to match all popular roofing and cladding colours. HiGrip® design feature prevents the possibility of water entry through the roof sheeting (not available on the 25mm length screw). Available with either a Teks® or Zips® drill point for fixing into timber or steel battens. The unique tamper proof security head can only be installed and undone using the Buildex Security Head Socket. Climaseal® 4 coated that meets and exceeds AS3566.2-2002 Class 4, under real world testing. 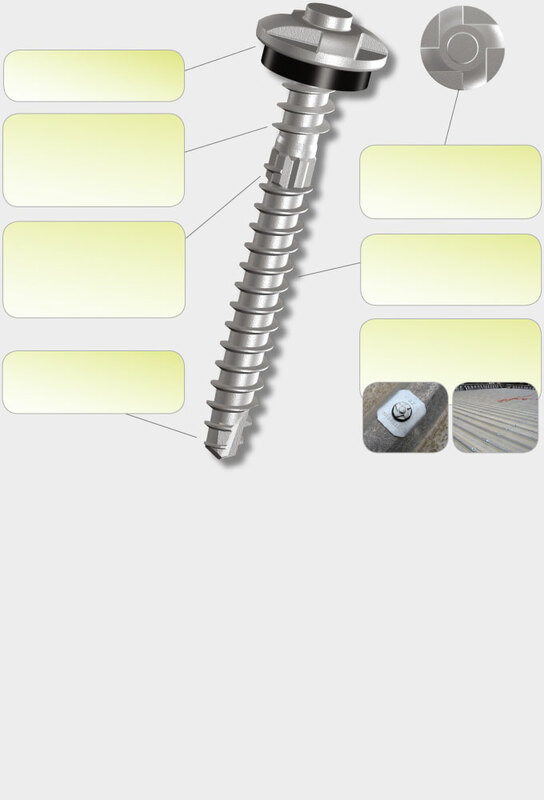 Headlok Security Head Screws can also be used in conjunction with Buildex cyclone assemblies. Headlok® Security Head Screws are designed for securely fastening both metal roofing and cladding profiles. Headlok® Security Head Screws can only be installed and undone using the Buildex® Security Head Socket. Each socket is engraved with its own identifying number which corresponds with the number on a registration card. Installers must fill out their name and address details and sign the registration card, allowing them to become a Buildex® Security Installer. All details are then registered on a database, allowing for traceability and auditing purposes and providing peace-of-mind on socket location. Installers undertake to be the sole-owner of the Security Head Socket, to retain possession and to not pass it on to anyone outside of their company. They do however have the option of returning the Security Head Socket back to Buildex® upon the completion of the job. For valley fixing corrugated & square rib roofing and cladding profiles to steel purlins & metal battens. profiles to steel purlins up to 4.5mm thick (2.4mm lapped purlins), in high wind and cyclonic regions.